Almost exactly a year ago I stumbled upon a life changing discovery. You can make money blogging? Yeah right, I'm thinking to myself. Little did I know that this discovery would literally change my life. I like to be real with you guys here. I'm not trying to be sneaky. What I know, you're going to know too. And I know you've seen my sponsored posts on my blog or on Instagram, so I'm not trying to hide that I make a bit of cash flow from this little blog of mine. 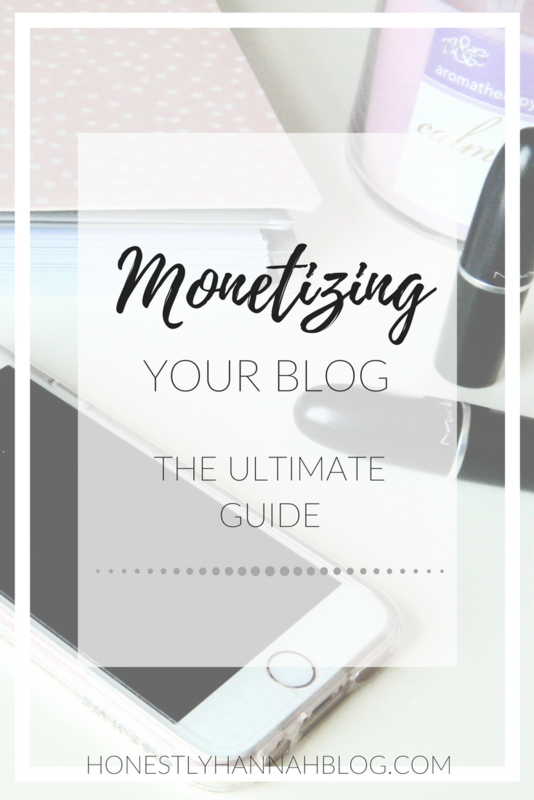 I'm writing this post to share with you exactly how you can make money from your blog too! Okay, let's first start with a little story, shall we? In March of 2016 I decided I would start a random blog on Blogspot. I had never researched blogging before, I knew nothing about it, but I figured hey, let's start a blog. Not only did I know nothing about the world of blogging, but I knew even less about the fact that you could actually make money from a blog. Sure, I knew big Youtube stars or celebrities made money from sponsorships, but I was completely unaware tons of people out there make money from their blogs. Side note - this isn't how I would recommend starting a blog. I definitely wish I had done more research first. Read my post on how to start a blog if you're ready to start a blog! Don't start a blog just to make money. You aren't going to get rich quick, or magically accumulate thousands of readers, or suddenly become super appealing to brands. There's a ton of work involved. If you don't really love it, I promise you'll get sick of it before you make a dime. BUT, if you want to start a blog, and you would truly want to blog if you never made any money from it, I'm here to tell you that you can for sure make money. But it's not easy. And it takes awhile. So if you aren't ready to put in a whole lot of work, maybe just click out of this post now? I do get a lot of questions about how to start a blog and blogging tips, so check out these posts here + here if you have questions about that. If your question isn't answered there, comment or send an email! 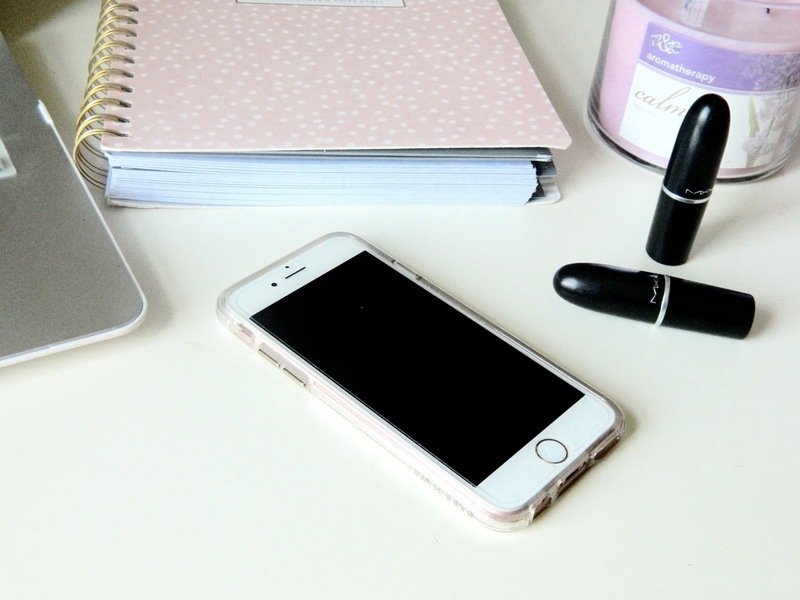 Now let's talk about it: How do you make money blogging? Options one and two are a bit more difficult, especially if you're relatively new to blogging. I've just recently (within the last few months) began receiving inquires from brands asking me for sponsored content. Bloggers can run into problems with this though sometimes (ex. the brand doesn't pay you, because there's no intermediary firm between you and the brand that's forcing them to pay). I've heard of this happening to some people... super shady. In my opinion, the best way for newer bloggers to start getting sponsored posts is through networks. The blogger signs up for the network, the brand signs up for the network and they either reach out to bloggers within the network that they believe fit well with their brand, or bloggers can apply for sponsorships on the site. - Social Fabric : This one is my FAVE. I work with Social Fabric the most. I love this one because you have to actually apply for the posts, so if you don't like a product or wouldn't promote it on your blog, don't apply for it. It's really easy to use and I actually received my very first sponsored post opportunity from them! Wanna read it? Here it is. I continue to work with them super frequently because I've always had such a good experience. - Clever Girls Collective : This one is similar to Social Fabric because you have to apply for all the sponsored posts on the site. I got the opportunity to work with Dove through this network... a huge brand! I don't work with this network as much, but I've had a great experience with them so far and I'm hoping to start working with them more. - Collectively - I haven't done any sponsored posts for Collectively, but I have received free products from them. They will email you when they have an review opportunity (I have received Nip+Fab products a few times, which is amazing!) and you fill out a short application. You then will receive an email if you've been selected. Pretty cool! There are literally TONS of sponsored post networks for bloggers, but I only wanted to mention the ones that I know are awesome. So feel free to do your own research there if you are looking for more blogger networks. Another great way to make money with your blog is through advertisements. The cool thing about this is all you have to do is place the ads on your site and you'll make some great passive income. It's important to make sure your blog isn't cluttered with ads (because that's ugly and no one wants to look at that), so place them strategically. I like to place my ads near the bottom of my blog or scattered in posts. I wouldn't recommend putting them across the top or anything. Even though this will definitely lead to more impressions, it just doesn't look good. Google Adsense: I currently use Google Adsense for my blog. It took me awhile to actually get approved for this network, and it also took me awhile to start actually making money. Recently, however, I've actually had a ton of success with Google Adsense as my blog has begun to increase steadily in traffic. The last money-making blog tactic I'm going to talk about today is affiliate marketing. I think affiliate marketing is pretty cool, because it allows you to share products or services you love with your readers and earn money from it! If you don't know anything about affiliate marketing it's basically this: A blogger links a product/service from a special, personalized link. You click on it. Maybe you buy it, maybe you don't. There are two types of affiliate marketing: Pay per click and pay per sale. If you're just starting out, pay per click is probably the best route to go, as people may not feel super inclined to make purchases through your links if you're a relatively new blogger. - Shopstyle Collective: I currently use this network, and I like it. I've probably been a part of this network for about a year now. This is a pay per click network, however, the more sales you generate through your links, the higher your pay per click rate will be. So it's sort of a mix of both? I will say - your pay per click rate goes WAY down after your first payout, but if you continue to make sales through your links, the rate will increase again. I also love affiliate networks because you can create little product widgets which I use a lot in my posts. - RewardStyle: The other major affiliate network is RewardStyle. I'm not a part of this one, and I've heard it's pretty hard to get accepted to. It's similar to Shopstyle, except with RewardStyle, you instead get commission off of sales made through your links... So pay per sale. You can also use RewardStyle on Instagram (the whole LiketoKnow.it jazz), so that's definitely a plus for this network. There's seriously nothing cooler than making money from your blog. But you have to be super careful. It's important to build trust with your readers, and if all you do is sponsored posts and your entire blog is covered in ads and there's 100 affiliate links in every paragraph, you probably aren't being super authentic. Only accept sponsored posts that truly excite you. Only work with brands you love. Congrats if you made it to the end of this (long) post, woo! Let me know what sponsored post networks you guys use (if you're already in the blog monetization world). If not, leave your questions below or send me an email! I can't wait to try out some of these tips! Thanks for taking the time to write it all out! Runners of the online blogs can get better help about the increasing of progresses of them with read of this share. As you brought best tips and tricks under discussion on here with read of them we enjoy allot buddy. Your blog should be visited more often by people.